Answers to the most popular questions R&Q receives. Answers to the most popular questions we receive. 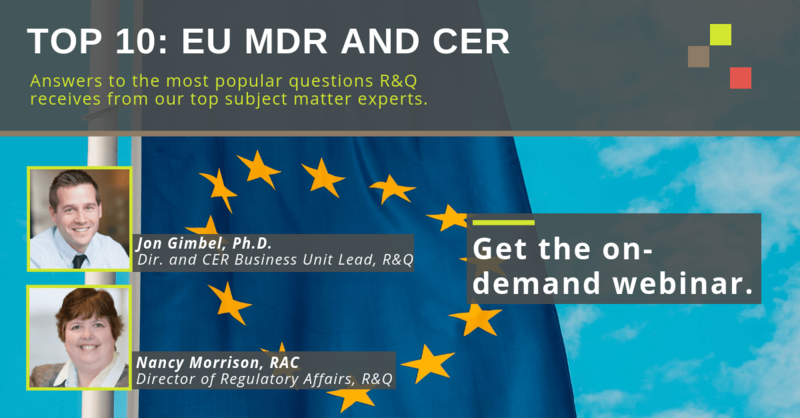 In this webinar from January 2019, R&Q's Director of Regulatory Affairs and Director and CER Business Unit Lead will answer some of the most frequent - and toughest - questions R&Q has received on EU MDR and CERs. Compared to our typical webinars, the format of this session will be more conversational. However, we'll still be offering the recording after the fact.